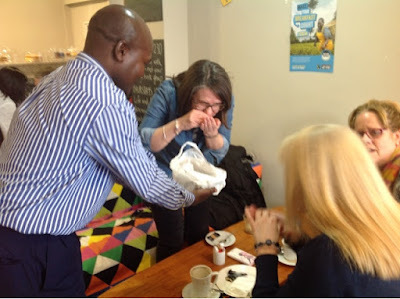 A great afternoon meeting inspirational Kenyan Fairtrade Tea Farmer Patrick, at Oasis The Coffee House, Leigh Road, Leigh-on-Sea with the Fairtrade Foundation producer tour. Patrick spoke about how the Fairtrade premium has helped his community build a school to give children a future, and a maternity hospital with rural ambulance, helping to save lives, as well as stemming land degradation by helping to plant more trees to stop the soil washing away and helping to prevent flooding. Tangible sustainable development occurring as a result of consumers choosing Fairtrade in this country. 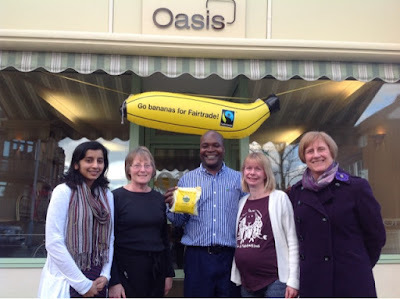 Such a lovely man, whose enthusiasm for Fairtrade was contagious. 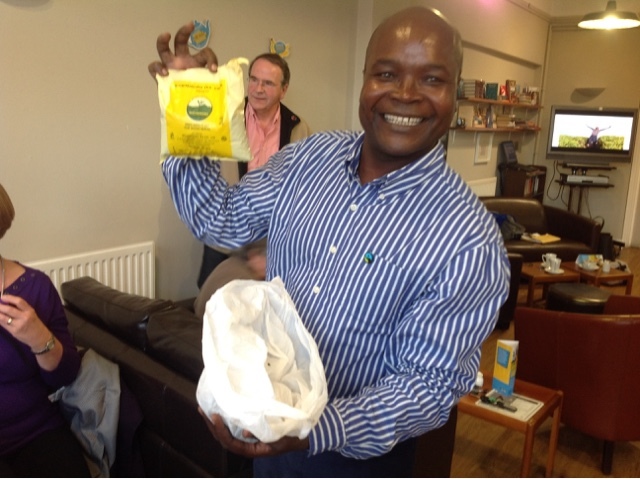 Giving people a Hope and a Future this is what Fairtrade is all about. Choose Fairtrade People!